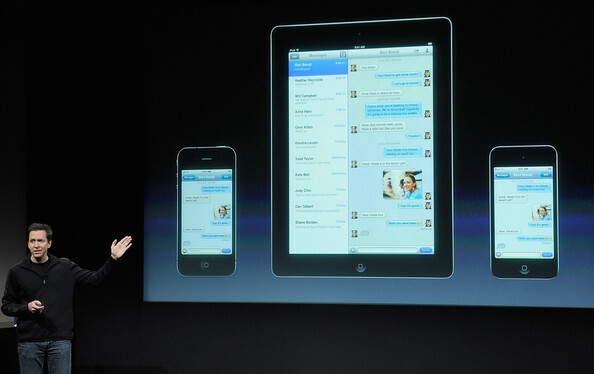 Tim Cook’s Apple is unquestionably the dominant technology firm on the planet today and whilst they hold a position of considerable power in the consumer market place, Apple couldn’t do it without a collaborative culture internally and without calling upon the expertise of other firms in their supply chain and ecosystem. Apple is a formidable force but its success has always been built in collaboration with others – the iTunes world is a mesh of partnerships and the products themselves draw on a selection of select external partnerships. When people muse over the details of Samsung being a supplier to Apple as well as a competitor they miss the point – Apple can’t have all the smart people and smart technology in-house – they have always work pragmatically in partnership. This belief in collaboration was communicated clearly as the world gained an insight into Tim Cooks view of the company and how it was shaping up one year on without Steve, and this “collaborative DNA” came through in his Bloomberg interview last week. There have been some heads rolling at Apple lately. How did he see the shake down and personal changes? Despite being very much part of the IPhone promo-video Steve Forstall took a bullet last month and the stars of Apple had to realign. As people speculated if the change was down to the muted response to the iPhone5’s non-too-radical feature set or the crashing disappointment of the maps fiasco – Tim is now framing the change in terms of a culture of collaboration. Collaboration is a mindset and a competence – but you also need to be values aligned with the guys you are working with. 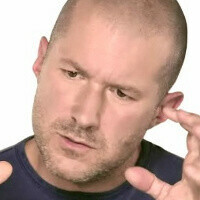 Like rowers in a boat – there needs to be unity, and clearly Tim has found that affinity with Brit, Jony Ive. The Jobs era was legendary –part inspired genius, part tyrant – very much in control and having the last word. 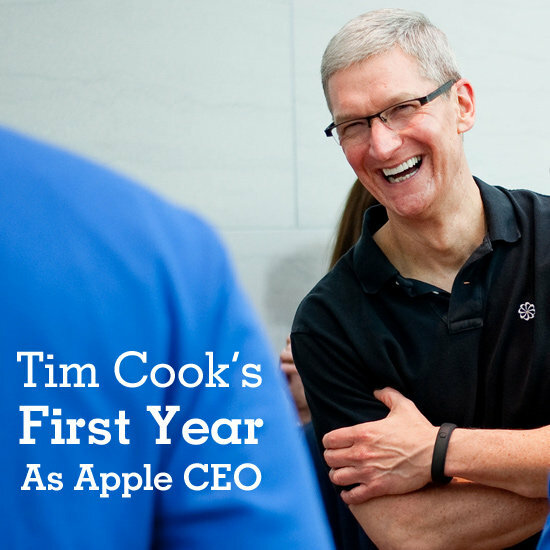 But you do get a sense of changes under Tim Cook – acting as a connector of the talent rather than the master. But what is it in the water in Cupertino… or have these guys mastered some kind of process? “Creativity is not a process, right? It’s people who care enough to keep thinking about something until they find the simplest way to do it. They keep thinking about something until they find the best way to do it. It’s caring enough to call the person who works over in this other area, because you think the two of you can do something fantastic that hasn’t been thought of before. It’s providing an environment where that feeds off each other and grows. The full transcript of Tim Cooks excellent Bloomberg interview can be found here. Categories: Collaboration, Innovation | Tags: Apple, Collaboration, culture, innovation | Permalink. Thanks for the link Ana – the iTunes ecosystem is a great story of innovation and partnering. Not many people know that PortalPlayer makes $15 per iPod sold. That is genius. Loving the blog post, full article and Ana’s link. To the point about creativity vs process; it’s interesting that Apple hired IDEO as part of the external iPod team. These guys are master creativity and innovation (process) facilitators. BusinessWeek rank them in the top 25 most innovative companies and they do consulting work for the other 24 companies. Have IDEO mastered a process? Undoubtedly. Is their secret sauce? No chance. The riddle of creativity is more elusive than just process..
Ideo are indeed a bit special – like the 37Signals team they have helped form a school of thought around making change happen. Im thinking that in Tims world where his company ships a phenomenal amount of hardware with minimal inventory, manages an ecosystem of more 600,000 contributors and handles and exploits astronomical quantities of collected user data – process is a word he sees for the these ‘big domains’ of activity. Getting genius out of Jony and his colleagues probably has a very different interpretation of the word. But maybe it is the same word. I had a great meeting with Kate Hammer at the end of the summer and the guys at Kiln also have a process approach to creativity – their work being based on 6 steps and the work of Osborn-Parnes http://en.wikipedia.org/wiki/Creative_Problem_Solving_Process – it has been beneficial to corporate clients and is intriguing. Funny business this innovation/creativity – its absolutely needed but it has to be inclusive and co-created to make it stick. Unless of course you have command and control over your company and then even Stalin is permitted to see himself as a ‘plant’. Absolutely, I think Mr Cook understands his baggage as a ‘logic/systems/process’ guy and is sensitive towards ‘process as a pejorative term’ thinking. Your point on interpretation of the word made me think about my own interpretation. Making my morning cup of coffee is a process. A series of linear, predetermined steps I can repeat when half asleep. I can write them down and attempt to outsource the process to my wife. I think something more abstract like growing up is also a process, albeit one with plenty of mistakes/experimentation/repetition, and that only really makes sense looking backwards where the shape of the steps starts to emerge. Developmental psychologists study us growing up and retro-fit labels to these steps but we weren’t conscious of them at the time. Similarly cognitive psychologists are beginning to understand better how Jony and chums weave their creative magic. Ive is a maniacal note-taker, for example, collecting ideas from numerous fields and reviewing them after a period of incubation. This thinking process works for him. So I guess I have a pretty broad view of what can constitute a process. I’m suspicious of the paint-by-numbers process approach to creativity as it neglects other areas (origin, individual, environmental) but view creativity as being supported by a number of processes, albeit ones that we don’t currently understand very well. Maybe “just enough process” is what I’m trying to say! Thanks for sharing that article – I will share with my sister – she is doing a lot of coaching and a big fan of Socratic methods. My old CEO also insisted I keep notes on everything and then review them at the end of the week – I still have those notebooks and even today they make rich reading – all knowledge gains a richness once you reconnect it with new perspectives gained over time. The happiest times of my life have been shopping for Rotring pens….